Esteemed president Donald J. Trump has made it a priority of his administration to watch SNL from the White House, and according to his own tweets, he is not happy with how he’s being portrayed on the show. 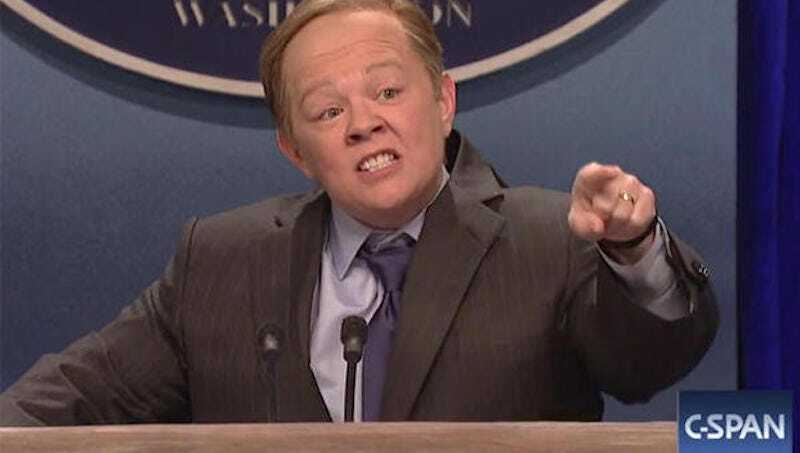 But the most devastating part of last week’s savage episode, Politico reports, was that his press secretary Sean Spicer got played by a woman. But Trump also wasn’t happy with his portrayal in a sketch from the same episode, which positioned Steve Bannon, played by an actor wearing a Scream mask, as the true commander-in-chief. Though our esteemed president did not directly address the show, he did make it clear he saw it and was offended.